£1395 pp, £120 single supplement. Deposit £200. 2020 prices TBC. 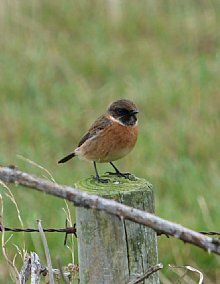 Islay is a beautiful island, with soft rolling scenery and a wonderful variety of birdlife. 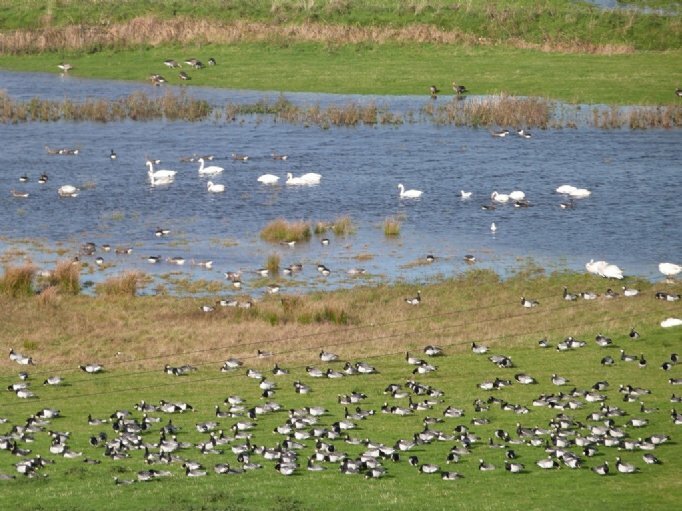 We explore the large goose flocks of the fields and RSPB Loch Gruinart, and expect to see many thousand Barnacle and Greenland White-fronted Geese. The sight (and the noise) is absolutely unforgettable. We might also find Brent (pale-bellied), Greylag, Pink-footed and perhaps wild Canada Goose, with rarities like Snow Goose, Red-breasted Goose, Richardson’s Cackling Goose and Green-winged Teal all seen in the last few years. Our mobile-hide minibus will be invaluable here! 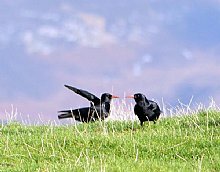 Britain’s most northerly Chough population breeds on Islay, and we should see these birds floating on the breeze at close quarters. 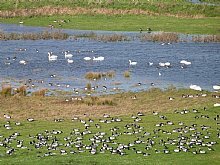 There are many ducks here, including a large overwintering raft of Scaup, and we should see Long-tailed Duck, Common Scoter, Teal, Wigeon, Mallard, Shelduck, Tufted Duck and perhaps Slavonian Grebe. We search the bays for all three diver species, Black Guillemot and other auks, and perhaps an early Glaucous Gull or Iceland Gull. 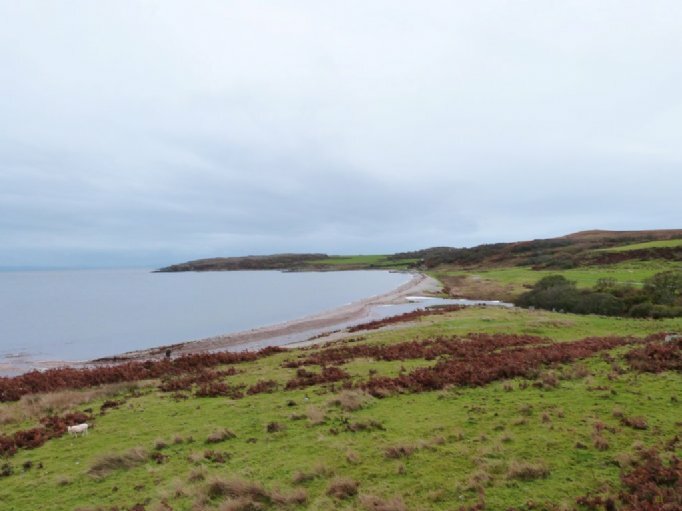 The duck concentrations may receive an unwelcome visit from a Hen Harrier, and we will watch out for the island’s local Golden Eagles, which often soar over remote crags. Other raptors found on Islay include White-tailed Eagle, Peregrine, Merlin, Buzzard, Kestrel and Sparrowhawk. Wader species of interest should include Golden Plover, Bar-tailed Godwit, Snipe, Curlew, Lapwing, Oystercatcher, Dunlin, Ringed Plover, Turnstone, Sanderling and Purple Sandpiper. 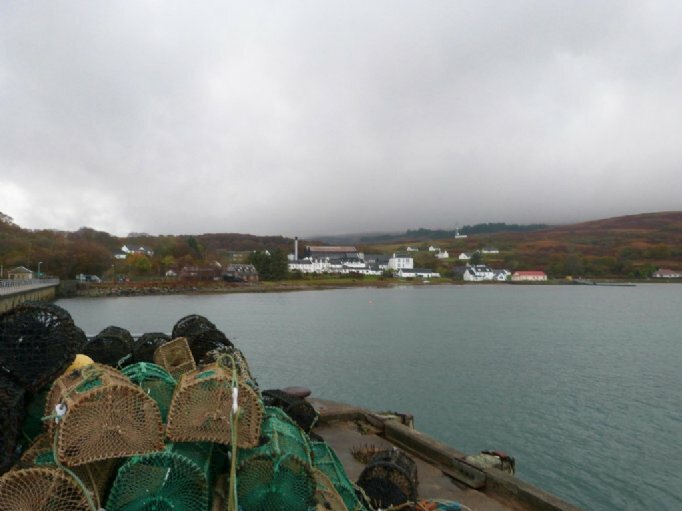 We watch the weather, tide table and ferry timings, and select a day to visit Jura. 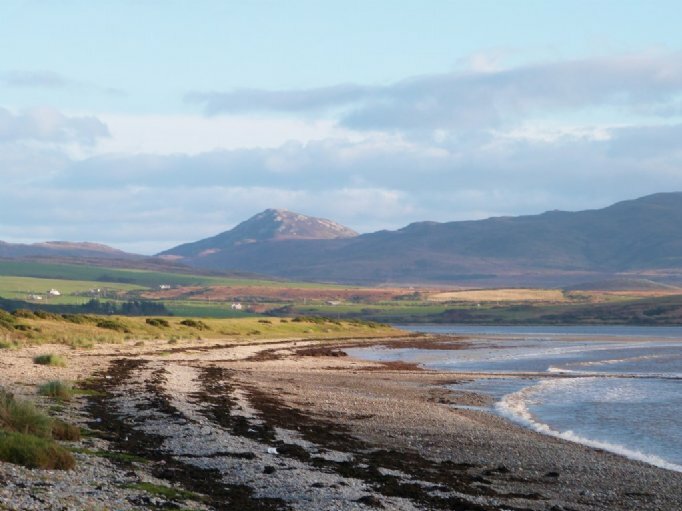 Much more rugged and inhospitable than Islay, Jura is well worth a visit for the scenery alone, and is rightly renowned for its large population of Red Deer, Hen Harrier and recently White-tailed Eagle. We also hunt for Otter along the coastline; our record of finding them here is envious! Finally we use local knowledge to turn up any rarities which may be around – anything can happen on the Scottish islands! We stay in comfortable en-suite accommodation throughout. Depart Nethybridge for Islay via the Kennacraig ferry. From the decks, we should see Black Guillemot, Eider, Fulmar and gulls, with scarcer seabirds possible depending on the winds. The crossing here is renowned for divers, with double figure counts of Red-throated, Black-throated and Great Northern Divers if weather allows. Islay is a beautiful island, with soft rolling scenery and a wonderful variety of birdlife. 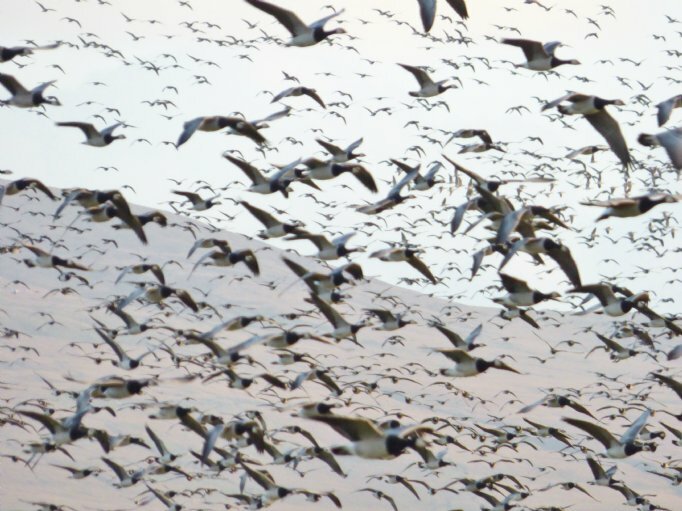 This holiday will give you the best birding available on the island, with particular emphasis on the huge goose flocks. 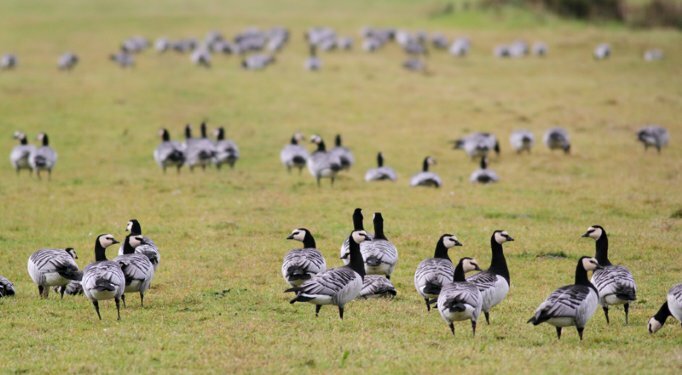 We will begin to see geese almost immediately, with Greylag and the first Barnacle Goose showing as we drive. A few fresh in Pale-bellied Brent Goose can be expected, and waders may include Purple Sandpiper, Turnstone and Sanderling. We stay throughout in comfortable en-suite accommodation. We will explore the large fields and mixed farmland of the west of the island, taking lots of time at RSPB Loch Gruinart, where we expect to see many thousand Barnacle and several hundred Greenland White-fronted Goose. The sight (and the noise) of these flocks is a must to experience – absolutely unforgettable, and on a couple of evenings we will close the day at last light so that we see and hear the mass movement of geese coming into the communal roosts. Driving back in the low light we may even see a Barn Owl if we are lucky! Out and about, we will find Greylag, and perhaps Pink-footed or Bean Goose, but our real effort will go into rarity hunting! Snow Goose, Ross's Goose, Red-breasted Goose, Richardson’s and Ridgway's Cackling Goose and Taverner's and Todd's Canada Goose and Green-winged Teal were all seen in the last few years. Our mobile-hide minibus will be invaluable here as we scour the flocks, or we may use some of the excellent hides so that we can set up our scopes in shelter. Working through large flocks of Teal and Wigeon is a highlight - the birds are back to their finest plumage and in low autumn light are a joy to behold, especially with Pintail and Shoveler for company! 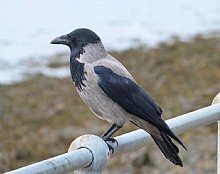 Other highlights include seawatching for divers, scoter, Scaup and occasional Long-tailed Duck, or walking in the machair enjoying close views of Chough, perhaps with flashing views of Merlin or Snow Bunting, or close Brown Hare views. 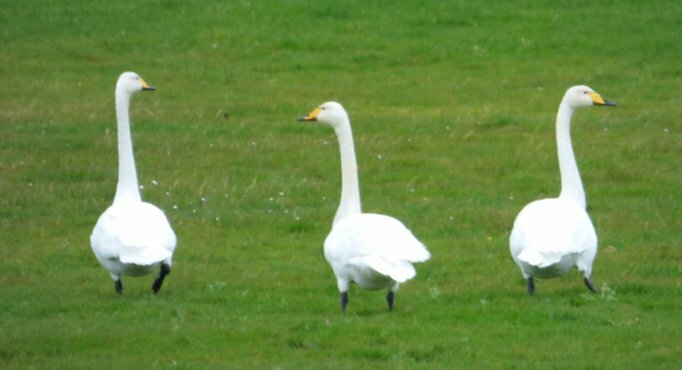 Frequently mentioned in guest feedback is the sight and sound of freshly arrived Whooper Swans in the fields and wetlands, and frequently overhead in large skeins as many pass through at our time of visit. 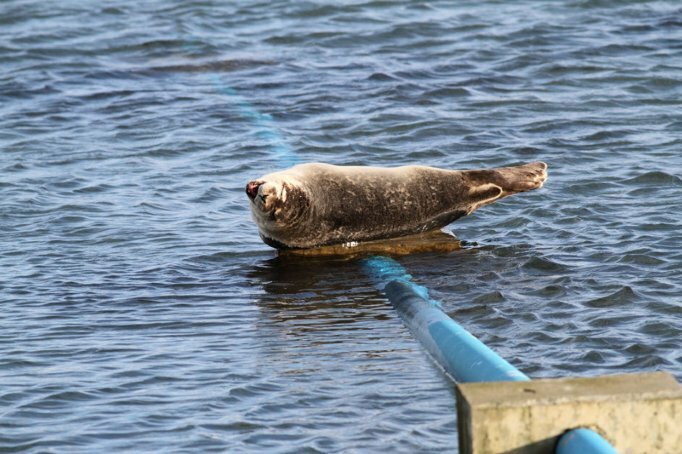 This holiday really gives a full picture of the Queen of the Hebrides, giving us the opportunity to explore all of the hidden corners, not just the famous bird reserves. We find that these hidden beaches and quiet back roads are where we find more Twite, Golden Eagle and Merlin than the main listed sites. 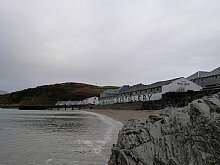 Of special note are Bunnahabhain, Claggain Bay, Kilchoman and the Rhinns of Islay. We will select the best day to go to Jura, to maximise our chances of seeing key wildlife. 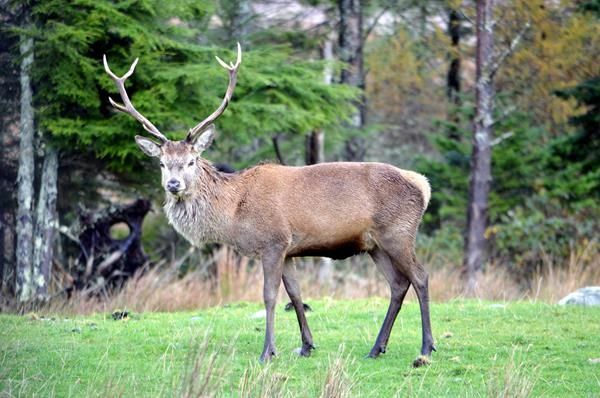 Jura is a superb place to see Red Deer at close quarters (Jura means Deer Island and there are around 5000 here!). It is also excellent for both species of Eagle, Hen Harrier and Raven. 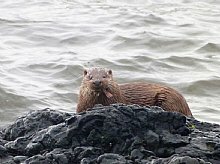 We have rarely failed to see Otter well here too, and will time our visit according to the tide and wind so that we can maximise our chances, with Common and Grey Seals likely too. Day 6 (Thursday) Today we return to Nethy Bridge by minibus. If you prefer, you may join/depart the holiday at Kennacraig ferry point, or at Oban or Fort William en route. 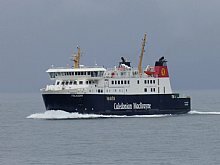 This morning ferry offers us a second chance at pelagic seabirds, divers and cetaceans, and is a fine way to leave Islay, with the Mull of Kintyre and Northern Ireland on the horizon. We will break the journey a few times en route, with a stop in Oban to look for scarcer gulls always popular. Highlands and Skye in Autumn, Highland Autumn Birding. Please note: all itineraries are given as a guide only. Actual holiday content may vary according to the judgement of your guide, and elements beyond our control (eg weather). 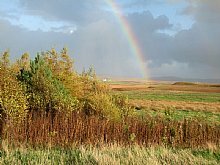 Climate on Islay is usually milder than on islands further west, though you can still expect a wide variation in weather conditions. Sunshine, rain and cold winds are all possible, and you will probably experience a bit of everything. Biting insects are not expected. Please bring walking boots or shoes, weatherproof clothing and a small rucksack. We will spend a lot of time using our minibus as a mobile hide, for working through waders, geese and ducks when at close quarters. We will undertake a few optional walks, with the longest being at the Oa RSPB reserve (if weather permits). This is an undulating walk, often wet in places and is around 3 miles return. The other walks are short and on mostly level ground. Please note that this is a natural history themed itinerary. There are no planned excursions to any of the famous whisky distilleries, but we will pass most of them if guests wish to arrange a visit (at the expense of their own wildlife watching!). 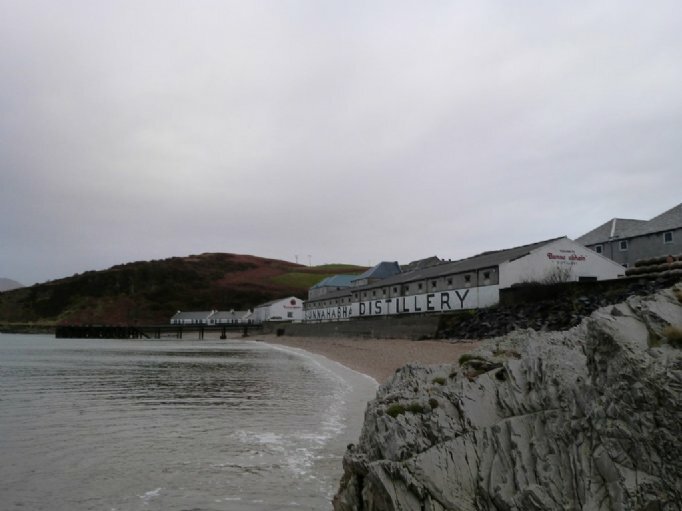 In our experience, the best way to enjoy whiksy on Islay is to stay at a good hotel like the one we use, with a superb range of all of the malt whiskies and extremely knowledgeable and friendly staff to help you learn your West Coast and Island malts! On this holiday we will also pass some key historical sites, where we would be happy to stop to allow for a short exploration. Of particular note are Finlaggan, the former seat of the Lord of the Isles, and the church and Celtic cross at Kildalton. 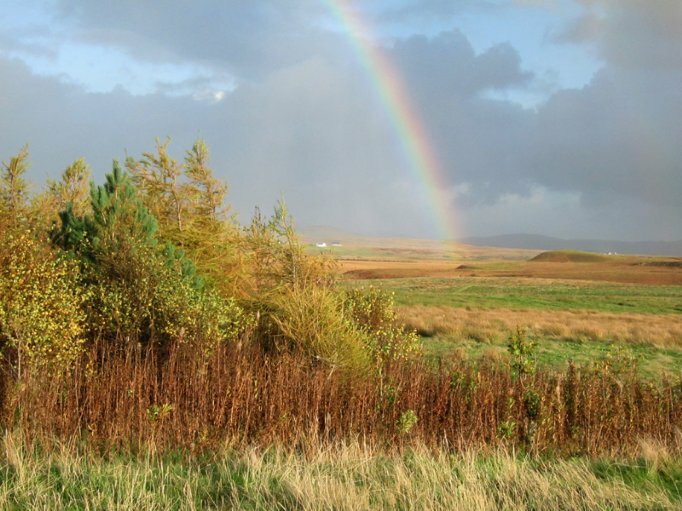 Five nights comfortable en-suite hotel or guest house accommodation on Islay. Guests are never expected to share. Full details with your joining pack. Rooms are en-suite. Full Scottish breakfast and dinner from Saturday evening till Thursday morning, packed lunch Saturday - Thursday. 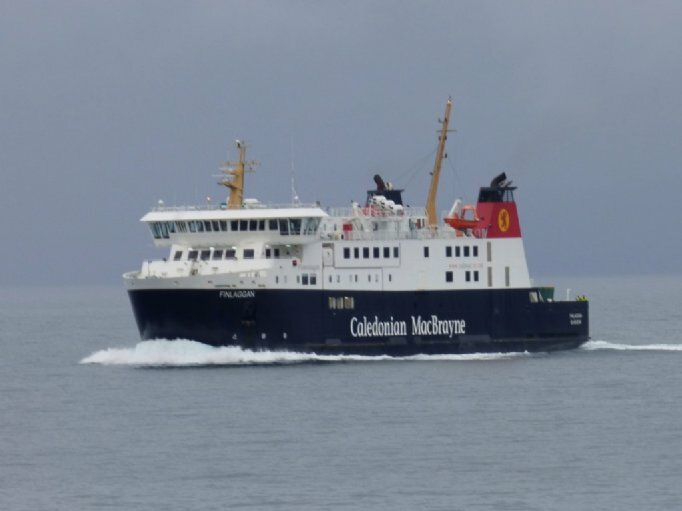 All transfers by comfortable minibus and Caledonian Macbrayne ferries. Return ferry crossing to Jura. Drivers can leave vehicles safely parked at The Mountview Hotel or at Kennacraig ferry terminal. Guidance from a professional Group Leader. Courtesy bus service to ongoing transport in Aviemore. Insurance, drinks and other items of a personal nature. Extra night in Nethybridge area on Thurs. B&B can be arranged for you if requested at time of holiday booking. Collection from Aviemore on the day before the start of the holiday. Photos of 'Dark' morph Snow Goose and Chough by kind permission of Jeremy Hastings, Islay. 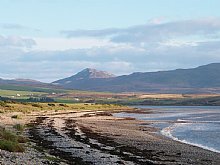 WHY CHOOSE HEATHERLEA FOR YOUR SCOTTISH ISLAND ADVENTURE? Heatherlea is THE company for top quality birding holidays in Scotland, chosen by more and more birders each year. Relax and enjoy first-rate birding with Scotland’s best guiding team, as we do all the planning! Our fully inclusive guided holidays concentrate on the real experience, and we take time to ensure that each of our guests enjoys everything we do. Above all, we make it our business to show key wildlife to you. These popular holidays are carefully designed to explore the beautiful and wildlife-rich Scottish islands and far west coast. Many itineraries are unique, designed to give you the best of island wildlife at the best time of year. All are run at a leisurely pace, though we might move a little faster when rare migrants and vagrants are in our sights! We have been organising birding and wildlife holidays for over 30 seasons, and have a highly experienced and capable team. We also offer a telephone and email service outside normal office hours. This holiday has a maximum ratio of 7 clients per guide, putting the emphasis on personal service, and helping you get the best possible experience. Heatherlea are Mainland Scotland’s FIRST ‘5-Star Wildlife Experience!’ This is the highest available grading, classified as ‘exceptional’ by visitScotland. Single guests are never expected or invited to share. Our holidays often include things which others might invite you to pay yourself, for instance packed lunch and tips to hotels. Heatherlea hold full Tour Operator Insurance for your added protection. Heatherlea is a limited company, registered in Scotland. We are also registered to pay VAT, which is included in your holiday price as quoted on this page. Once your holiday is confirmed in writing by us, we promise not to surcharge the price for any reason. Enjoy an excellent birding and wildlife holiday with Heatherlea.